Do you like to eat crab? As one of seafood, the crab has unique sensation to taste. You can get little bit sweet taste in crab meat. That is why you can grab the crab meat with salads, soups, dips and seasoning or even grab it alone. Moreover, you can also easily find it as fresh meat or frozen meat from crab meat supplier. As the result, you can easily cook crab meat in many ways. If you need crispy food, so you can fry the crab meat. Just prepare some ingredients which will give more taste on it. 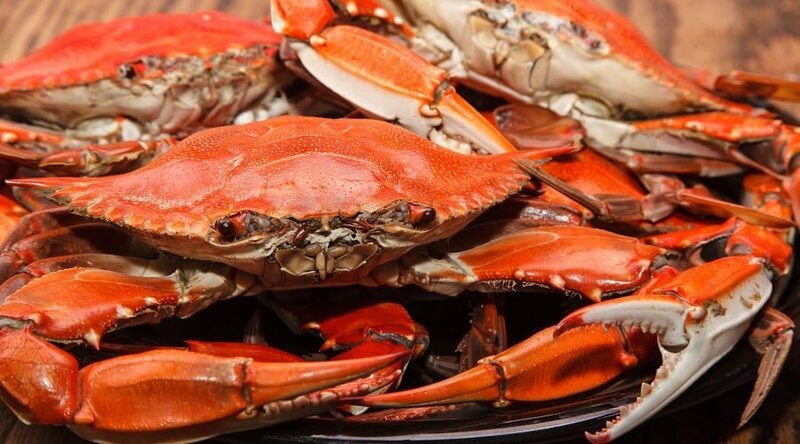 You can prepare the soft-shell crabs, large eggs, evaporated milk, vegetable oil, seasoned salt, and flour. For the first step, you need to heat the pan while mixing together with egg, milk and ¼ cup of water. Secondly, rinse the crabs and let it dry. You need to sprinkle the crab meat salt. Thirdly, dip the crab meat into the mixed water that prepared before and put it into the flour. You can do this step into two times. For the last, fry the crab meat for 2 to 3 minutes. Then, fried crab meat is ready to serve with sauce and mayonnaise. If you prefer boiled food than fried food, so you can boil the crab meat. However, it is not too easy to boil the crab meat. You need a big pot to cook with a pair of tongs. Then, you have also prepared the seasonings and sea salt. To boil the crab, you need to fill the pot for 2/3 of water and then put salt in. After that, you can add the whole crab into the boiled water carefully. You need to make sure that all the crabs’ part is all covered. Just let it boil for approximately 20 minutes until it gets red. Then, it’s done! You can crack it and take the soft meat with delicious sauce. If you are in hurry, bake the crab meat is the most perfect solution. You only need some ingredients to put it. Butter, egg whites, mustard, onion and parmesan cheese are ingredients that must be prepared. For the crab meat, you can choose the fresh or frozen crab from crab meat supplier. For the first thing to do, you need to chop the onion into some pieces and then stir the egg whites. Second, you need to unfrozen the crab if you use the frozen crab product. Meanwhile, you need to crack the shield first and take the meat only for the fresh crab. Third, just put all the ingredients and crab meat into the baking dish. Let it bake for 30 minutes at 350. Finally, the deliciously baked crab meat is ready to serve with crackers. Actually, you can easily find the frozen crab. It is ready to cook since you do not need to crack the shield first. However, buy the fresh one is also a good way. There must be some ways that must be highlighted to buy the crab meat from the supplier. For the first, you need to check its color. The most healthy and good crab is one that has a bright color with a shiny surface. Then, you can also check on its underside. For the fresh or new crab usually has flat underside with blue color. In contrast, the crab which has yellow underside has more yellowish and shaped like a six-pack. After that, it is also important to choose where you buy the crab is. You need to get the most recommended and credible crab meat supplier so that you will get the good crab. You need to make sure that all the crab that are sold at the supplier are in good condition. That is why buying fresh meat is more challenging than the frozen one since you can check the fresh or the old one. After you got the crab, make sure that you cook it right after. Try 2 Best Menu for Broiled Red Snapper! Copyright © 2019 Tictoc Stop. All Rights Reserved.